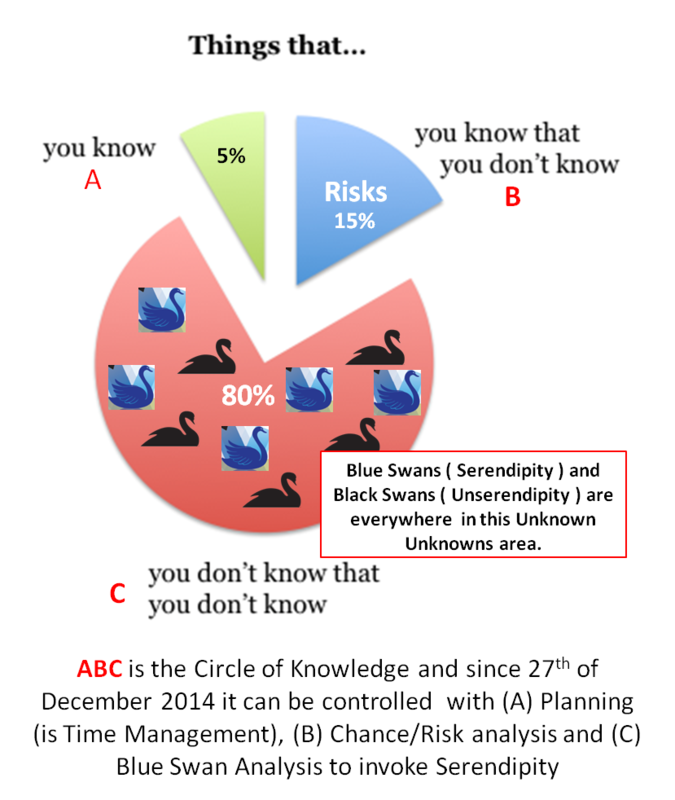 1-The Challenge is to manage the Unknown in the Knowledge Circle. 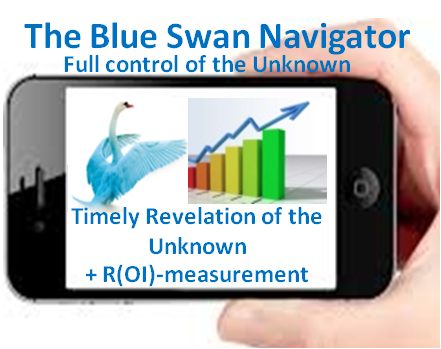 2- The Solution is the Blue Swan Navigator to guide you to your best future by invoking serendipity on time. 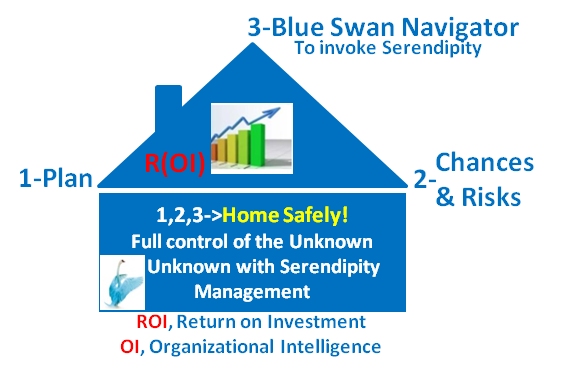 3- The Result is countries, companies, projects & persons where Serendipty rains, ROI & Safety/Health rises. The BSN is also for Personal use.